Client’s motorcycle from a $100K settlement. Here, you’ll see motorcycle accident settlement examples. What is our average motorcycle accident settlement amount? Let me explain. First off, I am referring to just the personal injury settlement. Therefore, I am not talking about the settlement for the damage to the motorcycle. Thus, the property damage settlement is in addition to the injury settlement. Will there be enough insurance to pay for the rider’s injuries? Not likely. In 70% of our motorcycle accident settlements, there wasn’t enough insurance. Sadly, that’s a huge percentage. Why wasn’t there enough insurance? Sometimes, the liable party had no bodily injury liability (BIL) insurance. Other times, the at fault driver had limited BIL insurance. In many cases, our client didn’t have uninsured motorist insurance. Here is a pie graph of our motorcycle accident settlements. Again, this is only for the personal injury part of the case. What are our most common motorcycle accident settlement amounts? They are $35,000, and $10,000. If you’ve looked at the above chart, this shouldn’t be a surprise. Why are our most common motorcycle accident settlements $10,000 and $35,000? Unfortunately, because most Florida drivers have low limits of BIL insurance. What are examples of minor (less) serious motorcycle accidents? Accidents where the rider doesn’t have a broken bone, eye injury or brain injury. In these minor wrecks, our average motorcycle accident settlement was $10,000. Now, let’s look at the bigger picture. Below is a graph of motorcycle accident settlements (and verdicts). The amounts are for the three-year time period before September 11, 2018. However, the other settlements and verdicts in the pie graph below are not mine. Be warned. The above pie graph doesn’t contain every motorcycle accident settlement and verdict in Florida. Many settlements (and verdicts) aren’t reported. What does the pie graph tell us? For starters, the range with the largest percentage is zero. Zero means that the motorcycle accident victim lost his or her case at trial. No. A large percentage of motorcycle accident victims lose their cases at trial. First off, insurance companies like to settle the good motorcycle accident cases. By “good”, I ‘m referring to cases where the motorcycle rider is likely to win at trial. On the other hand, insurance companies like to take “bad” motorcycle accident cases to trial. When I say “bad”, I’m referring to cases where the motorcycle rider is likely to lose at trial. Additionally, taking a case to trial always involves risk. Also, some jurors don’t feel bad for people who are hurt while riding a motorcycle. In fact, I have friends who say that they won’t award a penny to a motorcycle rider who gets hurt. Jurors with that view think that riding a motorcycle is a poor decision. Over 76 factors may affect the settlement amount of a personal injury case. The chance that a jury doesn’t like motorcyclists is just one factor to consider. In the above pie graph, Why did I only include motorcycle accident awards for the recent 3 year time period? Because Florida courts have said that cases decided more than five years earlier were of limited value. Hyundai Motor Co. v. Ferayorni, 842 So.2d 905, 908 (Fla. 4th DCA 2003). And three years is more relevant than five. A motorcycle rider was cruising down the street in Hialeah, Miami-Dade County. He was riding the motorcycle in the photo below. A driver of an 18 wheeler (tractor trailer) was heading straight in the opposite direction. The truck driver made a left turn, and crashed into the motorcyclist. The driver of the tractor-trailer received a ticket for causing the crash. The citation was for failure to yield right of way. As a result of the crash impact, the rider was thrown of motorcycle. The police report stated that rider going 5 mph over the speed limit. A jury could find the motorcycle rider at fault for speeding. In turn, the truck driver’s insurance company could reduce its case value accordingly. This could result in a smaller motorcycle accident settlement. What Injuries Did the Motorcycle Rider Have? At the hospital, the doctor diagnosed the rider with a broken leg and finger. A broken leg is worth more than soft tissue injuries. Additionally, a broken leg is usually worth more than a herniated disc. Specifically, his leg injury was a fractured tibial plateau. Doctors performed surgery at the hospital. How does surgery affect the motorcycle accident settlement amount? Surgery increases the full value of the case. Out of my 16 biggest personal injury settlements, the injured person had surgery in 15 of them. In particular, they did an open reduction internal fixation (ORIF) surgery on his leg. A doctor also did ORIF surgery on non-dominant hand ring finger fracture. Hardware was subsequently removed from the distal (end) portion of his ring finger under local anesthesia. He owed medical bills of $52,000.00. Since he was on a motorcycle, he was not entitled to PIP insurance. In Florida, medical bills are paid differently in car accidents than motorcycle wrecks. He had surgery on each fracture. Surgery increased the value of a case. While he was inpatient at Hialeah Hospital, the rider called our motorcycle accident law firm. Within hours of the phone call, Miami motorcycle accident lawyer Justin “JZ” Ziegler drove to meet with the injured rider at the hospital. In fact, attorney Justin Ziegler took the photo (in the video thumbnail above) of the motorcyclist at that visit. Although badly injured, the motorcycle rider was smart. While in the hospital, he hired Miami motorcycle accident lawyer Justin Ziegler us at that hospital visit. How Much Insurance Did the Truck Have? Chartis Insurance insured the truck. The police report listed them. AIG has a better reputation than most Florida auto insurers. Historically, AIG pays better than Progressive, State Farm, and Allstate. Since Chartis is now AIG, I’ll call them AIG here. I wrote a letter to AIG. In that letter, I asked them to tell me the insurance limits in writing. The insurance policy had a $1 million bodily injury liability limit. Is that a good limit? Yes. A nice aspect of truck accident cases is that big rigs often carry large insurance policies. In fact, they are required to. Evidence is important in motorcycle accident cases. For this reason, I paid about $2,500 to hire an accident reconstruction expert to inspect the tractor-trailer. There are many benefits to hiring a motorcycle accident lawyer. One is that the attorney can pay the expert witness. The motorcycle rider doesn’t have to pay $2,500 to hire an expert witness. If the attorney doesn’t reach a settlement, the injured rider doesn’t owe the attorney money. The same is true if the rider loses his case at trial. If the attorney gets a motorcycle accident settlement, he or she is paid back for the expert witness cost. I wanted the expert to download the event data recorder from the tractor. Did having an expert help the motorcycle riders’ case? I think so. AIG knew that we were serious. AIG knew that I was gearing up to sue. Was the Motorcycle Rider Entitled to Compensation for Being Unable to Work? The motorcyclist was 33-year-old male, unemployed at time of accident. Prior to date of accident, the motorcyclist had worked various types of manual labor, sales jobs, and truck driving. The orthopedic surgeon performed surgery on my client’s knee at the hospital, my client treated with him for a short period of time. I called the doctor’s office. The office manager told me that my client’s injuries were not permanent. My client chose to switch his orthopedic surgeon to Jorge Cabrera, MD. Doctor Cabrera was one of the many orthopedic doctors in Florida who would treat people who are injured in accidents. I spoke with Dr. Cabrera. I then sent him a questionnaire that had my questions and his answers. Dr. Cabrera said that the rider would will need a knee replacement within the next 20 years. Note: Some attorneys believe that a knee replacement is needed in 5-10 years. The orthopedic surgeon did not agree with this in this case. The orthopedic surgeon said that the distal fracture of my client’s finger was not uniting (a non-union); however this did not really present a problem for the claimant. The past lost wage claim and future loss of earning capacity claim was weak. I consulted with an independent orthopedic surgeon that I personally know. Fortunately, he didn’t charge me. he would anticipate him to have a good result with minimal limitation in activities and only a small, if any, permanent impairment. There may be further improvement in months to come. As you can see, doctors can have a totally different opinion about the severity of someone’s injuries. Sometimes one doctor thinks an injury is permanent. On the other hand, another doctor may think there is no need for future medical treatment. How Much of the Motorcycle Accident Settlement Was for Pain and Suffering? The motorcycle rider’s medical expenses that he owed were about $52,000.00. Therefore, I assume that the insurance claims adjuster was paying $393,000.00 for pain and suffering. If I’m correct, about 88% of the motorcycle accident settlement was for pain and suffering. This makes sense. Pain and suffering is of often the largest part of a motorcycle accident settlement. Since a truck hit the motorcyclist, he did not have to prove that he had a permanent injury in order to be entitled to money for pain and suffering. Future Medical expenses: The adjuster stated that he was not offering any money for future medical bills unless the motorcyclist was examined by a doctor chosen by their insurance company. I argued that there was a lost wage claim and loss of future earning capacity claim. However, AIG rejected my argument. It was my position that the truck driver was liable for violating the motorcyclist’s right of way. AIG’s insurance adjuster argued that motorcyclist was also at fault. His basis was that the police report. Again, it said he was going 35 mph when the speed limit was 30 mph. The case settled for $445,000 before a lawsuit. We settled about 3 months after the motorcycle rider was at Maximum Medical Improvement (MMI). This case settled quickly. All things, equal motorcycle accident settlements tend to be higher than car accident cases. Because the injuries tend to be bigger. This case is the perfect example. Most car accidents don’t result in two surgeries. Our client was a young man who was riding a motorcycle in Wynwood, Miami-Dade County, Florida. Wynwood is North of Overtown and Downtown Miami, and South of Little Haiti. A driver of a car made a left hand turn onto NE 27th street. The car is vehicle 1 in the diagram below. The motorcycle is vehicle 2. The motorcycle rider didn’t expect the car to make this turn. Unfortunately, the rider couldn’t could not stop his motorcycle in time. Thus, he struck the car. The crash report diagram is below. The impact was so hard that the motorcycle was removed by a towing company. The crash report lists $3,000 of damage to the car. Our client took pictures of the damage to the motorcycle. 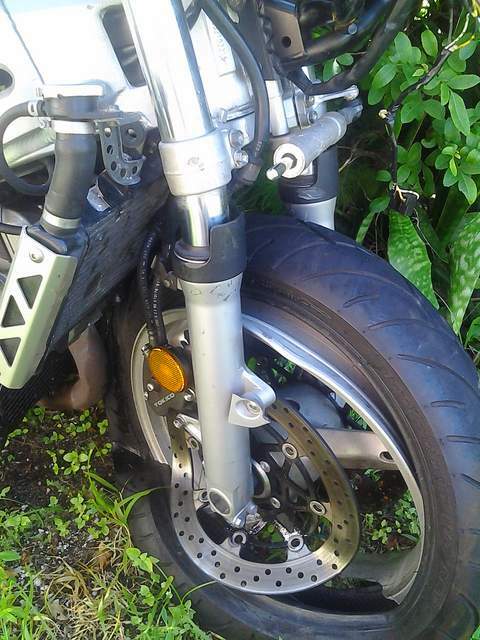 As you can see from the photo above, the front tire on the motorcycle partially came off of the rim. Metal was significantly bent on the front rotor. There were dents to the motorcycle frame on the front seat. There were other dents on motorcycle. The car driver received a ticket for careless driving. Geico accepted liability for the property damage claim. This means that GEICO paid 100% of the motorcycle damage. We didn’t charge a fee on the property damage claim. A driver of a car crashed into him. The crash impact blew out the motorcyclist’s front tire. The driver received a ticket for careless driving. Six days following the crash, my client received medical treatment in Downtown Miami. Our client’s medical bill charges were about $19,000. He complained of neck, back, knee, flank (area to the side of your “stomach”) and testicle pain. He had an MRI of the lower back which revealed a broad-based lumbar disc herniation at L5-S1 which can be seen below. Arrow points to broad based central disc herniation in his lower back (L5-S1). Our client did not have health insurance. He treated with a Florida orthopedic doctor that we recommend in Miami. An MRI of his knee did not find any injury. The motorcycle rider was diagnosed with a herniated disc in his lower back. The doctor also diagnosed him with a bruised testicle and erectile dysfunction (ER). GEICO insured the careless driver. GEICO hired a radiologist who stated that my client had a meniscus tear in his knee. Unfortunately, that driver only had $100,000 in bodily injury liability insurance. GEICO offered a pre-suit mediation. Mediation is a meeting where a neutral third party tries to get the injured person and the responsible party to settle the claim. In this claim, we settled at pre-suit mediation for $100,000 before even filing a lawsuit. How does the motorcycle rider benefit by settling before a lawsuit? Our attorney’s fees were only 33.33% of the total settlement. If we would’ve sued, our fees would’ve increased to 40% of any payout. Additionally, the court cost to sue is $401. Moreover, if you sue, costs start to add up faster than without a lawsuit. A motorcyclist was riding on the street in Miami. He didn’t know that there was debris on the road. A construction company did work on the road. However, they didn’t clean up the debris on the road. The motorcycle rider hit the debris and crashed. He fell on the pavement. He fractured his clavicle. Doctors performed surgery to fix it. We claimed that the debris shouldn’t have been left in the road. A construction company has a duty to keep the road free from debris. In a motorcycle accident case like this, the crash report can be very important. The investigating police officer may say (in the crash report) that he observed debris in the road. If the motorcycle rider later sues, his attorney can take the officer’s testimony during the lawsuit. Likewise, photos that show the debris can make or break a case like this. Photos showing debris in the street can help the motorcycle rider’s case. Again, this was a $87,500 motorcycle accident settlement. I’m referring to the rider’s personal injury case. The property damage to the motorcycle was separate. We worked with an attorney from a different law firm on this case. Below is a photo of the intersection where the crash happened. A man driving a pickup truck hit a man riding a scooter. The scooter had a large horsepower. In Florida, this scooter is considered a motorcycle. 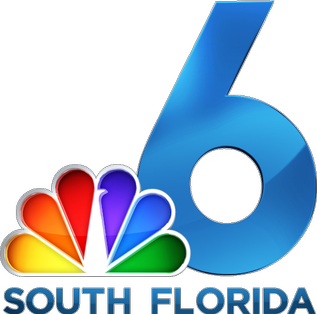 The crash happened in North Miami Beach, Florida. Miami-Dade Fire Rescue treated the rider on the scene. The scooter rider injured his eye. He got physical therapy for his soft tissue injuries. The scooter rider had slight patella tracking, but did not have a knee fracture. We settled for $52,000. I represented the motorcycle/scooter rider. Motorcycle that my client was riding. Pat was riding his motorcycle heading north in a parking lot. The parking lot was located in Land O Lakes, Florida. Land O Lakes is in Pasco County, Florida. You can see his motorcycle in the photo above. Roy was driving a car heading west in the same parking lot. He turned left into Pat’s direct path. To avoid the collision, Pat laid his “bike” down on its left side. Before the Florida Highway Patrol Trooper arrived on the scene, the vehicles were moved. If you have the opportunity, take photos of the motorcycle’s location after the accident. In addition, take photos of the other vehicle as well. This can defeat the other driver’s argument about how the accident happened. The trooper didn’t give anyone a ticket for causing the accident. His reasoning was because the crash occurred in a private parking lot. Additionally, the trooper said that there were no official traffic control signs. An ambulance took Pat from the accident scene to the hospital. At the hospital, he was diagnosed with a collarbone (clavicle) comminuted fracture. A comminuted fracture is a break or splinter of the bone into more than two fragments. All things equal, a comminuted fracture is worth more than a simple fracture. Pat didn’t know his rights. He wanted compensation for his injuries and motorcycle damage. Therefore, he hired a Florida motorcycle accident lawyer. Fortunately, he hired attorney Justin “JZ” Ziegler of our law firm. Attorney JZ told him to take photos that showed any bruising on his body. He took a photo that showed bruising to his collarbone and chest. He had bruising in his collarbone area, and on his chest. The good news for Pat? He did not need surgery to fix his broken collarbone. He went to a few visits with his orthopedic doctor. Pat attended physical therapy to help his shoulder’s range of motion. The Standard Fire Insurance Company insured the driver of the car that hit Pat. Standard Fire is part of Travelers. The driver had a $50,000 per person bodily injury liability policy. This means that the most that Travelers had to pay Pat was $50,000 for his medical bills, and pain and suffering. Travelers Insurance Company paid us the $50,000 policy limits. Here is the motorcycle accident settlement check. About 92% of the $50,000 motorcycle accident settlement was for pain and suffering. Pat had health insurance. His health insurance paid the hospital bill. We paid $4,100 back to his health insurance for payments that they made to the hospital and medical providers. We also had to pay an orthopedic doctor’s office a little under $400. Travelers paid within 38 days of the crash. Earlier, I said that Travelers paid this motorcycle accident settlement. If you’re looking to settle a case without a lawsuit, the insurance company has a big impact on the motorcycle accident settlement amount. Basically, certain insurance companies pay better than others. For example, Travelers has a reputation for making better motorcycle accident settlement offers than Infinity, State Farm, Allstate and Progressive. In this article, you’ll see real motorcycle accident settlements with State Farm, Allstate and Progressive. And many other insurance companies. On the other hand, Travelers pays worse than USAA. Travelers used to be a great paying insurer. However, like many insurance companies, they have become cheaper in the past few years. Travelers typically sells larger auto insurance policies than Progressive and GEICO. I settled a broken leg case for $300,000, where Travelers paid $200,000 of the settlement. On a separate note, Travelers insured the engineering company (for $11 million) that is being sued for the Miami bridge collapse. A motorcycle rider was heading straight on Park Ave in Jacksonville, Duval County, Florida. A driver of a car made a left hand turn in front of him. The motorcycle rider had shoulder pain. Doctors ordered an MRI. It showed a rotator cuff tear. However, the MRI report said that the tear wasn’t acute. In other words, the doctor (radiologist) said that the tear was there before the accident. A motorcycle rider can still get compensation for the aggravation of a pre-existing injury. 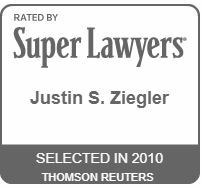 He hired our Florida motorcycle accident lawyer, JZ. He ultimately had shoulder surgery. Here is a photo of the rotator cuff tear that doctors took during the surgery. How can you actually use the surgery photo? Progressive and State Farm insured the car’s driver and owner. The total combined BIL insurance available was only $35,000. State Farm and Progressive paid us $35,000 to settle the motorcycle rider’s injury claim. Like most Florida motorcycle riders, our client didn’t have uninsured motorist coverage available. If he would’ve had UM insurance, the settlement would’ve likely been much larger. A scooter rider was riding straight on the road in Miami Lakes, Florida. Another driver was heading in the opposite direction. The other driver made a left hand turn in front of the scooter rider. They crashed. The scooter rider broke his upper leg. The upper leg bone is called the femur. The careless driver and owner were insured with GEICO and United Automobile Insurance Company. Together they had $35,000 in BIL insurance. The injured rider was on a big scooter, which is legally treated like a motorcycle. He didn’t qualify for Personal Injury Protection (PIP) since the scooter was so large. United Auto and GEICO paid us the $35,000 bodily injury liability (BIL) limits. We were fortunate that the United Auto policy had BIL insurance. United Auto sells many policies without BIL insurance. A man was riding his motorcycle. A car crashed into the back of his motorcycle. The motorcyclist claimed that the crash causes or aggravated his disc herniation and soft tissue injuries. Mercury Insurance insured the car’s driver. We worked with attorneys from a different law firm on this case. For a Miami Beach, Florida scooter/moped rider who was cut off by a taxi. Our client, the scooter rider, had an injury to his shoulder. The insurance company offered $18,000. I filed a lawsuit. Thereafter, we quickly settled the case for $25,000. We were able to reduce my clients hospital bill by 30% or so. The taxi was insured by Ascendant Insurance Company. They are located in Coral Gables, Florida. Ascendant has a poor insurer when it comes to personal injury claims. They are just as bad as Progressive. And Progressive is terrible. The Better Business Bureau (BBB) gives Ascendant an A+ rating. This shows that the BBB is not accurate when ranking insurance companies. A man was riding his moped in Miami Beach. A car ran the red light and forced him off of his scooter. He was rushed to the emergency room in Miami Beach, Florida. The ER diagnosis was a separated shoulder, neck pain and back pain. He also had abrasions (scrapes) throughout his body. United Automobile Insurance Company insured car driver. Unfortunately, I’ve never seen a United Auto car insurance policy with more than $10,000 in bodily injury liability insurance. And this case was no exception. The at fault driver only had $10,000 in BIL coverage. Click here to see our request for his health insurance provider, Blue Cross Blue Shield, to waive the lien that they alleged that they had a right of subrogation for. Unfortunately, our client did not have uninsured motorist coverage. It would’ve allowed us to make a claim against his own insurance for an amount above $10,000. A man was riding a motorcycle in Allapattah, Miami-Dade County, Florida. Allapattah is to the North of Little Havana. A driver of car was heading in the opposite direction. Unfortunately, the car made a left hand turn in front of the motorcycle rider. An ambulance took the rider to the hospital. While at the hospital, doctors performed surgery on him. Specifically, they put a rod into his leg. He also lost some of his teeth from the accident. The at fault party was insured with Allstate Insurance. He had a several day hospital stay. Unfortunately, the at fault driver only had $10,000 in bodily injury insurance. Also, our client did not have uninsured/undersinsured motorist insurance. Thus, his recovery was limited to the careless driver’s $10,000 bodily injury policy. Which Injuries Pay the Most for Motorcycle Accident Settlements? Historically, certain injuries get higher verdicts than others. This rule applies to motorcycle accident cases. Again, I am referring to the pain and suffering part of the claim. Thus, motorcycle accident settlements for these injuries are higher. At least most of the time. How Will Uber or Lyft Handle a Motorcycle Accident Claim with One of The Above Injuries? An Uber or Lyft driver had the app on. However, he or she wasn’t engaged in a ride. In other words, the Uber or Lyft driver hadn’t yet accepted a ride. In this case, Uber and Lyft have a $50,000 of bodily injury liability (BIL) insurance per person. There is $100,000 of BIL insurance per accident. Assume that the Uber or Lyft driver was 100% at fault for hitting the motorcycle rider. In this case, Uber or Lyft’s insurance company should pay the $50,000 limits if the injured person has one of the above injuries. Again, this assumes that the motorcycle rider had surgery. Uber or Lyft’s insurer may even pay the $50,000 per person limits for a lower leg bone fracture without surgery. I settled a case with GEICO for over $64,000 for a broken leg (fibula fracture). And Lyft’s insurance company (Zurich) is better than GEICO. York Risk Services handles claims for Lyft. All things equal, motorcycle accident settlements arising from Uber and Lyft accidents will be higher. This is due to one reason. Uber and Lyft usually have much higher insurance limits than other cars on the road. This isn’t my case. I’ve created a diagram based on my understanding of this accident from reading the court file. A lawsuit claimed that on October 31, 2015 at 5:43 p.m., a Lyft driver was attempting to make a left hand turn from NE 1st Avenue onto NE 36th Street. A motorcycle was heading west on NE 36 Street. The lawsuit claimed that they crashed. The motorcycle rider suffered blunt trauma to his head and torso (upper body). He was not wearing a helmet. He was hit with such force that he was ejected from his motorcycle. The motorcyclist was declared dead at Jackson Memorial Hospital’s Ryder Trauma Center. The motorcyclist was survived by his wife, Poliana, who was 8 months pregnant with their first child at the time of the crash. On November 16, 2015, his wife, as personal representative of his estate sued Lyft and the Lyft driver. Within 1 year and a half of the lawsuit being filed, the family settled with Lyft and the Lyft driver. Two-thirds of the settlement went to the surviving wife, and one-third went for the son. The court said that the minor’s settlement proceeds must be used to buy the Florida Pre-Paid College Plan (4 year University Plan). Below is a portion of the order that says this. If you look online, the 4 year Florida prepaid college funds costs about $19,000 for a lump sum payment for a 1 year child. So we can assume that the minor’s portion of the wrongful death settlement was at least $19,000. The court also said that the remaining portion of the minor’ motorcycle accident settlement money must be used to purchase a structured settlement. It will be paid for directly by Lyft and the Lyft driver and/or their insurers. A structured settlement is a negotiated financial or insurance arrangement through which a claimant agrees to resolve a personal injury tort claim by receiving part or all of a settlement in the form of periodic payments on an agreed schedule, rather than as a lump sum. The amount of the settlement was confidential. I think that this was likely a very large settlement. My reasoning is because this accident caused a relatively young person’s death, and he was survived by a minor child and young wife. No amount of money will bring a family member back. However, jury verdicts (and thus settlements) for a minor child mental pain and suffering and loss of guidance can be over $1 million dollars. Moreover, Florida appeals courts have approved mental pain and suffering awards for over $1 million dollars for minor children who’ve lost a parent due to an accident. Similarly, juries have awarded over $1 million dollars for a spouse’s mental pain and suffering after a spouse is killed as a result of an accident. Moreover, Florida appeals courts have approved mental pain and suffering verdicts of over $1 million dollars for someone whose spouse is killed due to an accident. Thus, in this claim, the full value of family’s mental pain and suffering claim was large. In the lawsuit, one of Lyft’s many defenses was that the motorcyclist wasn’t wearing a helmet. At the time of the accident the Lyft driver was carrying passengers. Thus, Lyft’s insurance likely at most would pay up to $1 million dollars per accident. This is because Lyft’s insurance policy has a $1 million dollar liability limit. This is true regardless of the number of people injured. This was a tragic accident. Most family members of a motorcyclist who is killed in a crash will not be able to get fair value for the case. This is because so many cars in Florida are uninsured or underinsured. Thus, there often is not enough insurance to pay for the value of a death case. In addition, most motorcyclist riders don’t carry uninsured motorist insurance. However, things were likely different in this case. Here, the Lyft vehicle was likely covered with a $1 million dollar liability insurance policy. My guess is that Lyft’s insurer paid the $1 million liability limit to the motorcyclist’s family. Zurich American Insurance Company currently insures Lyft vehicles. York Risk Services Group handles Lyft auto accident claims. If an Uber driver would’ve hit the motorcyclist, Uber’s insurance company (Progressive) would’ve likely handled it similarly. That said, Progressive is cheaper than Zurich. This isn’t my case. Pereles was driving a motor vehicle. Santos owned it. Dustin Brink was riding a motorcycle. Pereles had a collision with Brink. As a result, Brink suffered serious brain injuries. Brink sued Pereles and Santos. His negligence lawsuit went to trial. The jury rendered a verdict for damages in excess of $25 million. After trial, the court considered Brink’s comparative negligence. The court calculated collateral source setoffs. This basically means that the court applied certain credits to the at fault driver. For example, let’s say that the motorcycle rider had health insurance. At trial, the jury gets the hear the total medical bill charges. However, the at fault driver only owes what the health insurance paid. Plus any out of pocket costs, deductible and co-pays. The court then calculated the amount of costs that the motorcycle rider could recover. Costs include charges for filing the lawsuit, depositions, expert witnesses and more. The trial court ultimately entered a final judgment against Santos and Pereles for $12,832,837.17. Santos’ liability was solely vicarious. In Florida, you are liable for letting someone drive your car. The bad news for the motorcycle rider? Pereles had insurance with limits less than $500,000 combined property damage and bodily injury liability. As a result, the parties agreed that Santos’ liability was limited to $600,000. Again, Santos was the car owner. In other words, Santos didn’t owe a penny more than $600,00. Even though the judgment was for a whopping $12.8 million! Learn more about this case, where a Florida appeals court said that a motor vehicle owner was only liable for $600,000. Despite the fact that the motorcycle rider had severe brain injuries. This is not my case. In April 2006, Kincaid drove his automobile out of a parking lot in Martin County, Florida. When doing so, he drove into the path of Vanzyl’s motorcycle. At the time of the accident, Kincaid was 17 years old and insured under a policy issued by Allstate to his parents. The policy had $100,000 in bodily injury liability coverage. Kincaid was legally impaired by alcohol. Hence, he received a DUI charge for the accident. Kincaid admitted that the accident was his fault. As result of the accident, Vanzyl was placed in an intensive care unit. Being in the intensive care unit increases the full value of the case. Vanzyl remained partially paralyzed. Vanzyl hired a motorcycle accident lawyer. At trial, a jury awarded the motorcycle rider $11.5 million for future pain and suffering. They gave him $5 million for past pain and suffering. Vanzyl ultimately received a $16 million dollar judgment. With this judgment secured, Vanzyl got Kincaid to agree to bring this bad-faith claim against Allstate in exchange for a delay and possible satisfaction of the judgment. Allstate argued that it did all that it could to try to enter into a motorcycle accident settlement for the $100,000 limits. On July 30, 2014, a federal appeals court said that Allstate did not act in bad faith. Therefore, the motorcycle rider will likely be limited to Allstate’s $100,000 insurance policy. Unfortunately, a $100,000 motorcycle accident settlement isn’t enough compensation for being partially paralyzed. See what happens if a rider is injured while driving without a motorcycle endorsement on his motorcycle license. Did someone’s carelessness cause your injury in a Florida motorcycle crash or other type of accident? My Miami injury law firm represents people injured anywhere in Florida.